With over 2000 years of history and with highly preserved mining galleries & excavating tools, Salina Turda represents today the largest salt mine museum in the world. Located in Turda, Transylvania, the site is a large underground wonderland with an amusement park nestled 120 meters below ground, inside one of the oldest salt mines ever known. Salt extraction first started in Antiquity, continued throughout the Middle-Ages and ended early in the 20th century (1932). Afterwards, the place was used for everything from a cheese storage center to a bomb shelter in WWII. Franz Joseph Gallery: 917 meters long, strengthened with a 40 cm thick stone wall. The Crivac Room: an octagonal chamber housing “The Crivac” – a machine exploited by horse power that served for the vertical transport of salt from Rudolf mine. Built in 1881, it’s the only machine of its kind in Romania (and probably Europe too), having a unique shape. Terezia Mine: 120 meters deep coned-shaped mine with a 8m deep lake at its bottom. In the middle of the lake there is a small salt island. Regardless of its history, this salt mine is not just a huge museum, but an epic tourist attraction. It was ranked by Business Insider as the most beautiful underground place in the world. 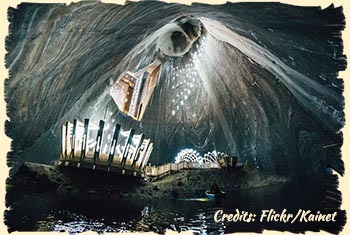 Likewise, Salina Turda is ranked 22 among the most spectacular tourist destinations in the world. If you’re into Star Wars, Star Trek or any other type of Sci-Fi entertainment – bring some cold water with you. Once you’re inside the main room, you’ll need to pour it onto your head to know you’re not day dreaming. Words are not the best way to describe the view so we’ll let the photos and your imagination do the work. Bowling alley, mini-golf, sport field, table tennis, pool tables. Were you enchanted by the sci-fi theme park? 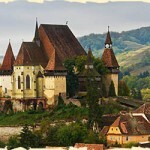 Unveil Romania can show you the way towards an epic journey back in time, offering a fully tailor-made itinerary. Plan your trip with us and experience our unique concept of Time Travel Tourism! 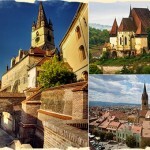 The ideal 5-day itinerary for visiting Romania: discover Bucharest and the southern part of Transylvania, a land full of history and fairy tales, castles and medieval cities. 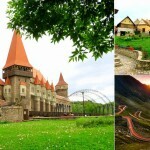 The ideal 7-day itinerary for visiting Romania: discover Bucharest and Transylvania, a land full of history and fairy tales, castles and medieval cities! 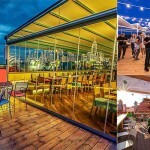 Stand above the crowds and enjoy Bucharest from a different perspective as you relax in one of the many rooftop bars - the new trend in the city! Unveil Romania wins Boutique Tour Operator of the Year Award! Copyright © 2015-2019. Unveil Travel Planner | All Rights Reserved.